Looking to make a dramatic splash in the live sports streaming space, FloSports has struck its first major soccer deal, landing the U.S. rights to stream a friendly being held in honor of German soccer legend Bastian Schweinsteiger. 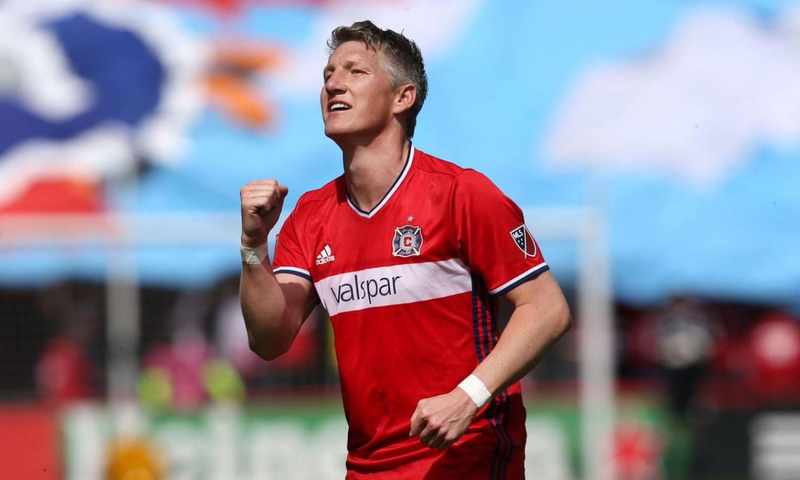 On August 28, FloSports will stream on FloLive.tv the exhibition match between Schweinsteiger’s current club, Chicago Fire (MLS) and Bayern Munich (Bundesliga), the German powerhouse where he spent the majority of his career. German soccer legend Bastian Schweinsteiger. The game will be played at Allianz Arena in Munich, Germany, in a tribute to the former captain of the German national team. FloSports made the deal with global sports marketing agency Lagardère Sports. In a twist, the official farewell match will see Schweinsteiger play the first half for the Chicago Fire and the second half for Bayern Munich. The match is a nice get for FloSports which has carved out a place for itself in the sports media landscape with a focus on highly niche sports. While an exhibition, there’s no denying the star power of Schweinsteiger and the stream will likely garner the attention of American soccer fans and transplanted Germans in the U.S.
To watch the stream of the match, users must visit FloLive.tv and become a monthly or annual PRO subscriber. Either subscription unlocks access to premium content across the entire FloSports network. FloSports, and its 10,000 live competitions per year, can be watch on desktop or by downloading the FloSports app on iOS, Roku, or Apple TV 4. CORRECTION: An earlier version of this article stated that this friendly would be the final match of Bastian Schweinsteiger’s playing career. He is actually under contract with the Chicago Fire through the reminder of the Major League Soccer season.